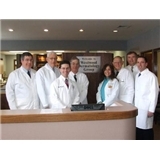 Westwood Dermatology and Dermatologic Surgery Grou (Westwood) - Book Appointment Online! Since its founding in 1967 by Herbert L. Fine, MD, Westwood Dermatology's board certified dermatologists have been providing our community with compassionate, ethical, and sound quality care. Our group's collective expertise and over 40 year legacy in the practice of clinical and surgical dermatology ensure a level of confidence, comfort and satisfaction to our ever growing base of referring physicians and patients. Very well mannered, Seemed like he really wanted to give the best possible help, I'd recommend him to anyone who needs a dermatologist. Efficient office. Polite receptionists & nurses.